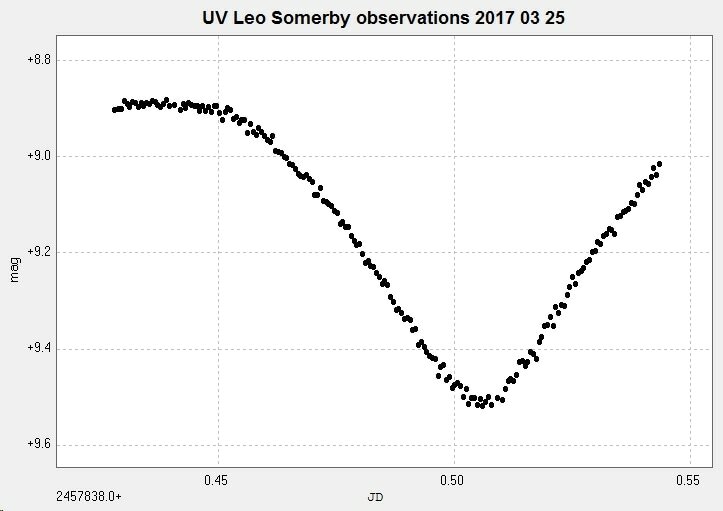 A primary minimum of the EA type eclipsing binary UV Leonis / UV Leo observed from Somerby Observatory on March 25 2017 with the 2" Titan. The images were unfiltered. 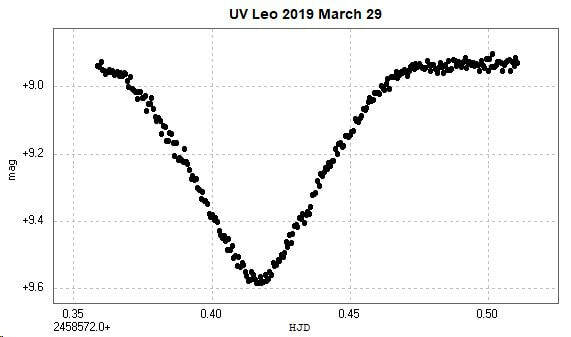 ​Light curve and phase diagram of UV Leonis constructed from 109 images taken with the Bradford Robotic Telescope Cluster Camera between 2014 Jan 1 and 2015 June 6. 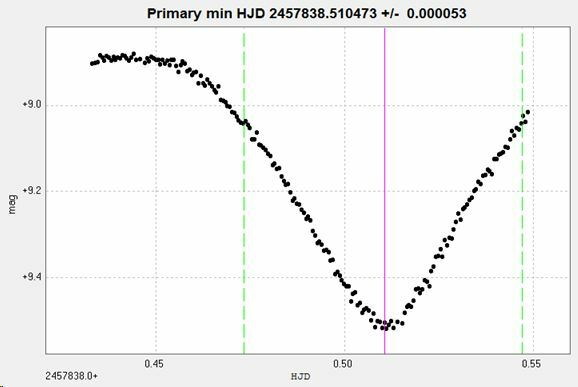 Combining the BRT and Somerby observations results in the following light curve and phase diagram. The BRT results are in black and the Somerby results are in red. Another primary minimum, constructed from 257 unfiltered images taken with the 2" Titan at Somerby Observatory on 2019 March 29. The catalogue values for the period are 0.60008478 ref GCVS and 0.60008731 d ref AAVSO VSX. This star has o-c interest and evidence of surface activity, see e.g. Mikuz et al 2002 and Manzoori 2012.